CPL 2018: Final, Match Prediction- Who will win the match, Guyana Amazon Warriors Trinbago Knight Riders? Guyana have never won a final in three attempts. 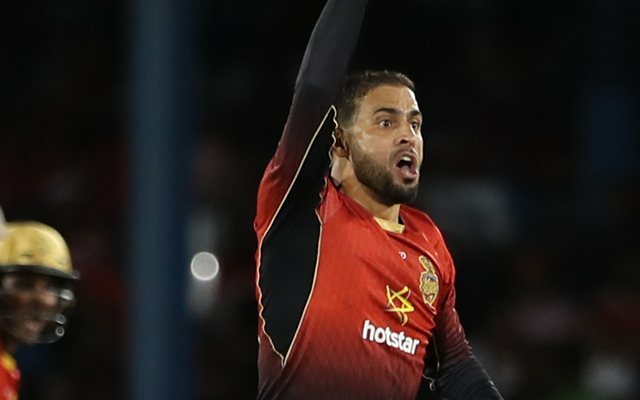 After all the excitement, surrounding this year’s Caribbean Premier League (CPL), the final will be played between Guyana Amazon Warriors and Trinbago Knight Riders in Trinidad. Both teams have locked horns on three occasions, out of which three have been won by Guyana. However, as far as the final is concerned, Guyana have never won a final in three attempts. On the contrary, Trinidad haven’t yet lost a final and will be looking to win their third championship. Last year the Knight Riders beat Guyana and the same venue and moreover, the Knights have won three out of their four matches, which makes them a firm favourites. Nevertheless, Chris Green’s men have shown that they aren’t any pushovers by any stretch of the imaginations. The pitch at Brian Lara Stadium at Tarouba turned out to be a decent one for the batsmen. But the likes of Fawad Ahmed showed that the deck had enough for the spinners as well. The match won’t be a late-night one and hence, due may not play as big a part. Hence, the scores may be a tad lower from the previous match between TKR and St Kitts and Nevis Patriots. Guyana will retain their winning combination from the Qualifier 1. The likes of Shimron Heymer and Sherfane Rutherford will dearly want to repeat their performances from their previous match. The experience of Luke Ronchi and Sohail Tanvir need to come to the fore. Jason Mohammed, Chadwick Walton, and the captain’s role can’t be undermined by any means. The Knight Riders will make one alteration to the squad and will replace Anderson Philip with Khary Pierre. In that scenario, the spin department will have Sunil Narine, Fawad Ahmed, and Pierre as the spin bowlers. Ali Khan and Dwayne Bravo are the fast bowlers. In the batting department, Brendon McCullum and Colin Munro need to step up. 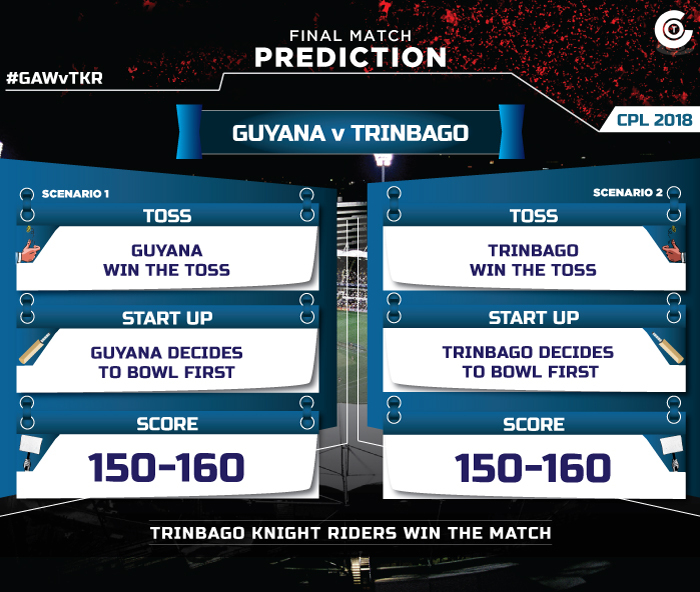 The prediction is for Trinbago Knight Riders to win the final.